On Tuesday, the first face-to-face meeting between representatives of the Taliban and the Afghan government happened in the United Arab Emirates. However, it’s a very long road from sitting down to actually hammering out an agreement to end the 17-year-long war that all sides can live with. An Afghan delegation joined talks in Abu Dhabi Tuesday, where the US, Saudi Arabia and Pakistan were already engaged with representatives from the Taliban, a Sunni Muslim insurgent group that once ruled Afghanistan before the US and its allies drove them from power in late 2001. "There is no plan to meet the Kabul administration," Zabihullah Mujahid, a Taliban spokesperson, told reporters on Monday. 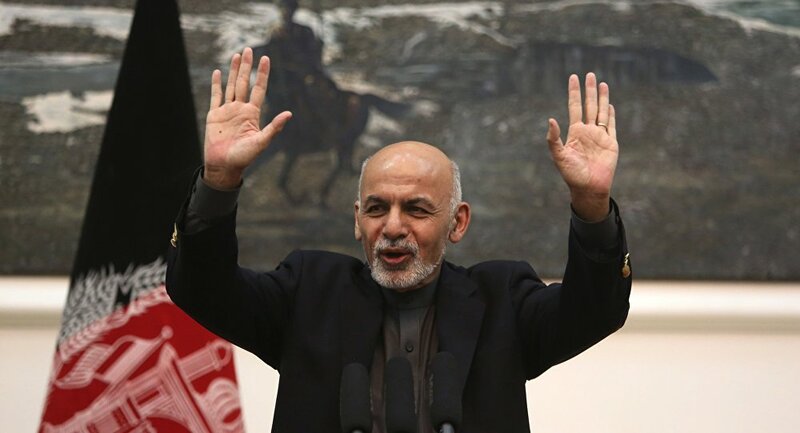 "There is no possibility of the presence of the Kabul administration in the meeting." The Taliban see the Afghan government in Kabul as a US puppet, and the administration holds little sway outside the capital. The country has been in a state of war since October 2001, when the US led a massive air campaign and invasion against the Taliban, which it blamed for sponsoring the terrorist network al-Qaeda, responsible for the September 11, 2001, terrorist attacks that killed over 3,000 Americans. 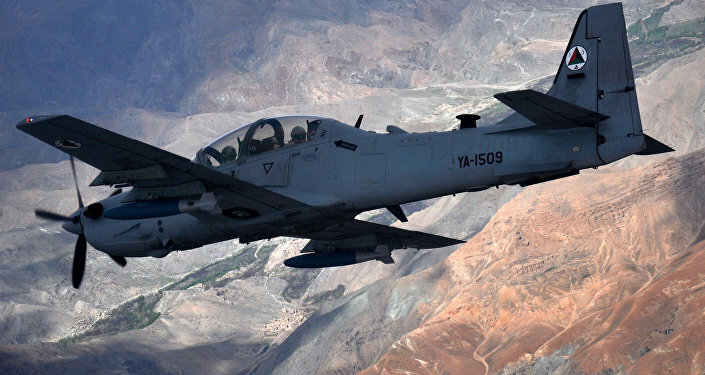 Although the Taliban were quickly driven from power, they and other militia groups have continually evaded defeat, resulting in a prolonged guerilla conflict that has claimed hundreds of thousands of lives. As a consequence, the Taliban have so far refused to engage in peace talks with Kabul, only wanting to speak with US representatives in their quest to make the 14,000 US troops and their auxiliaries leave their country, Vox reports. By contrast, the US position sees the Taliban joining the Afghan government in a power-sharing agreement with other groups. Zalmay Khalilzad, America's envoy for the Afghanistan talks, has said he hopes for a deal to be reached before scheduled elections in April. Radio Sputnik's Loud and Clear spoke with Dr. Marvin Weinbaum, the scholar-in-residence and director of the Middle East Institute's Center for Pakistan and Afghanistan Studies, about the process behind any hypothetical deal. ​The talks were supposed to last one day, but they've stretched into a second, raising hopes of substantive advances. Still, Weinbaum said "the Taliban remained pretty adamant that they had no intention of talking to the representatives from Kabul." If it happened, "it would represent a major break in what has been their position, that the Kabul government is illegitimate." Weinbaum said that, until proven otherwise, the Taliban's goal is the withdrawal of foreign forces, "because that would be tantamount to a surrender," and a quick US withdrawal would lead to the even quicker collapse of Afghan Security Forces. However, Weinbaum cautioned that there is "a gulf, an enormous space, between sitting down and reaching an agreement. The trouble is that too many people are conflating these, thinking, ‘Well, if they agree to talk, we're finally going to have a peace.' No, it doesn't mean that at all. All it means is that's the beginning of a process of trying to reach an agreement and… we have to realize that… the foremost obstacle is that, until proven otherwise, the Taliban have a different vision for what they believe an Afghanistan government and society should look like. And that, ultimately, is I think irreconcilable with what the Kabul government and what the international community have in mind." Weinbaum said that successful talks would be "where they sit down and they really hammer out a compromise. You know, I've got a feeling if that's what the Taliban wanted, if it wanted to get the best deal — I should mention it enters such talks from what has to be viewed as a relative position of strength — that's where you want to be. You don't want to be where I think the Kabul government is: in a position, at this point, of weakness." "They would demand, I think, in those talks, they proceed with that vision that they have — which is of, ultimately, the restoration of an Islamic emirate — that the talks really be on their terms, on how the international community and the Afghan government and its supporters can agree to accept such an Islamic emirate. To which the Taliban would say, ‘We will give you certain concessions,' rather than the other way around, which is what it's been, where the government and international community says, ‘Well, join our political system, and we'll give you elections, and you'll run as a political party, and you'll get a governorship here; maybe you'll be able to control some of the provinces.' Well, the Taliban have always been pretty clear in saying that that's not what they want," Weinbaum explained. "Could they change their mind? Perhaps, but why should they when they think they're winning?"